Ignorance is a factor that paves the road to violence and warfare. When opportunities are provided for young people to meet with and understand those who differ from themselves then the seeds of tolerance and peace are planted. Peace Mala provides such opportunities. The ancient Sanskrit word 'Mala' means 'a garland of flowers'. I should like to see flowers bloom not only in the United Kingdom but across the world. It is better to make a garland than to break a life. We are delighted that Terry Waite will be the guest of honour at the Peace Mala Festival of Inter-Faith and Culture in Manchester on 4th October 2010. 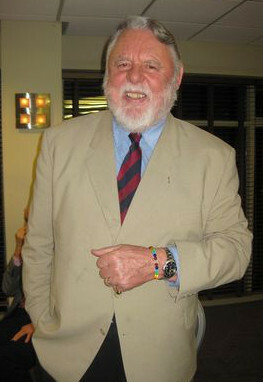 Terry Waite has led a remarkable life as a diplomat and a humanitarian. A world-renowned agent of peace, he is a testament to the power and resilience of the human spirit. Long devoted to humanitarian causes, inter-cultural relations, and conflict resolution, Waite garnered international recognition in the 1980s when, serving as a special envoy to the Archbishop of Canterbury, he successfully negotiated the release of hostages in Iran and Libya. In 1987, while negotiating the release of hostages in Beirut, Waite was himself taken hostage. In captivity for 1,763 days (four years of which were in solitary confinement), he was chained to a wall, often left in darkness, beaten and subjected to a mock execution. In his lectures, Waite gives audiences a perspective of world affairs founded on open communication, cooperation and a deep understanding of diverse cultures. There has been a particular interest in the lectures he has delivered relating his experiences as a negotiator and hostage to the pressures faced by executives and managers. Stress, loneliness and negotiating under acute pressure are but some of the issues with which he has unique experience, and his ability to communicate clearly and with a good humour has placed him in constant demand as a speaker not only to the business community, but also to professionals in social work, education, medicine, and religious groups.